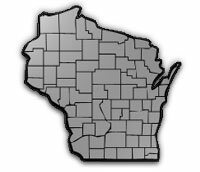 The Wisconsin All-computer Users Club is for computer users of every level of expertise, from novice to expert. Our computer user group supports a variety of computer platforms: Windows, Mac, and Linux. There is a monthly General Meeting on the first Thursday of the month, and several SIGs (Special Interest Group) meetings during the month. See the Events section for more details. Guests are welcome at the meetings if you want to see what the club is all about before joining. The yearly dues are $25; if you join after June 1st the dues are $12.50. Becoming a member entitles you to a monthly e-mail PDF newsletter, a monthly e-bulletin, access to our message board called BoardWAUC, and attendance at the General Meetings and SIGs. In August the General Meeting is replaced by a picnic, and in December the General Meeting is replaced by a Christmas Party. We also have a monthly luncheon get-together. The monthly General Meeting is two hours long: 7:00 pm to 9:00 pm. Coffee and goodies are served, there is a short business meeting, and there is the sale of a club CD-ROM with useful software. After a short break, there is a drawing of a raffle prize, and then a one hour presentation. To facilitate presentations, the club has its own laptop and projector. The presentations are about a variety of computer-related subjects. In the past there have been presenters from Microsoft, Smart Computing Magazine, APCUG, the FBI, and local TV and Radio celebrities, just to name a few. Concurrently with the presentation, members may bring their computers to be examined by our most capable and experienced computer trouble-shooters in what is known as our one-on-one computer service. Sometimes to get to the heart of a problem, the computer has to be physically worked with. Those who do not bring their computers can still consult and ask questions about personal computing.